California legal online gambling is available through licensed offshore online destinations. The state hasn't officially moved on the opportunity to legalize state-regulated online gaming but will likely be pushed to after several other states express their interest. California allows casino gambling at commercial and tribal-owned venues, lotteries, pari-mutuel wagering, bingo, and poker. players in the Golden State can legally access online gambling offshore. In this guide, we will describe state vs federal laws on online gaming, the status of gambling in California, and links to the most popular online platforms within the gambling industry. California's state legislature legalized gaming in several forms but has not approved of state-regulated online gambling. 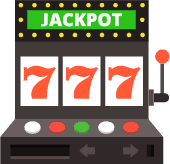 Californians can play the lottery, bet on horse and dog races, gamble at casinos, play poker and bingo, and access licensed offshore online gambling sites. At this moment, sports gambling is not allowed in the Golden State. Online gambling hasn't yet been legalized or regulated by the state. However, there are no state laws that specifically make the act of gambling online at licensed offshore destinations illegal in California. In fact, there are no federal repercussions either for gambling at these sites. All of the websites found on this page meet the lawful criteria of being licensed and located outside of the US, they are also very reputable names in the industry. The Bovada brand is one of the most trusted among US players, including those in California. They offer attractive welcome bonuses, high quality services and performance, and treat their players very well. For those who aren't aware, Bovada is a part of the Bodog family of online gambling sites. They are one of the most reputable in the industry and always conduct business in an ethical manner. So if you want to play with the most trusted site who will always pay out winners on time, then Bovada is our #1 choice. Is It Legal For California Residents To Play At Casinos For Real Money? The short list of land-based casinos we provide above has a set minimum age of either 18 or 21. This minimum age difference depends on whether the casino venue serves alcohol if it does patrons must be 21 to enter and play on the casino floor. For 18 year olds looking to enjoy online casino gambling without restriction, we recommend licensed offshore online casinos. Is Online Casino Gambling Legal In California? At this time, online casino gambling has not been proposed nor is it included in any legislation representing existing efforts to legalize online poker gambling. Likewise, there is also no state or federal legislation, law or bill that makes it illegal for California residents and visitors to participate in licensed offshore online casino gambling. Below is a list of lawful online casinos that our select team of specialists has reviewed and approved of as top rated brands. These brands are licensed outside of the US allowing them to provide services to CA players who are at least 18 years old. Our review process is very intense and effectively eliminates any low quality, questionable or undesirable virtual destinations. We only list those select casino websites that we consider to be secure and reliable leaders in the industry. Sports gambling has yet to receive its legal status in the state. While CA supports numerous major sports teams like the Los Angeles Lakers, Golden State Warriors, LA Rams, and San Francisco 49ers, the state's stall tactic when it comes to moving on sports betting legalization is tiring. Nonetheless, while domestic betting isn't an option licensed offshore online wagering is. The state of California has yet to move on online wagering legalization. However, no state laws prevent CA players who are at least 18 from wagering online at licensed offshore sites. In addition, no federal laws exist to block CA players from accessing these online destinations. However, California has a sports gambling bill in the legislature pending approval. This could mean there will be a potential to branch out into online wagering, however, it is too soon to tell. The sportsbooks listed below represent the industry's top rated sports betting sites that are legally licensed and regulated by a respected governing jurisdiction that is located outside of the USA. Our team has taken the time to review their licensing, reliability, payout speed, odds, betting line options, and security protocols to deem these the most trustworthy online sportsbook outlets. Is Poker Legal in CA? Poker gambling is permitted with California's casino venues and card rooms. However, the state has yet to move on legalizing state-regulated online poker gambling. Therefore, CA players who wish to experience and gamble online at a virtual poker room must do so through licensed offshore online sites. Is Online Poker Gambling Legal In California? CA has had extensive talks about state-regulated online poker but has yet to move on the subject. Because of this, we recommend CA residents and state visitors utilize licensed offshore poker rooms. No CA state law prevents access to these sites nor does any federal law have jurisdiction to prohibit their use. The following list of poker sites are legally licensed and regulated outside the United States. Each has been personally vetted by our team of analysts. These brands provide high-quality software, services, and employ top of the line security systems. These platforms provide a great alternative for California residents who are eagerly awaiting online poker options to emerge in the Golden State. Is it legal to bet on horse races online in California? Horse racing is a legally sanctioned form of gambling entertainment in California. 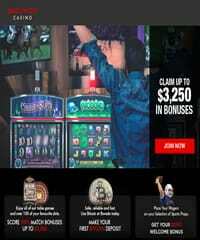 State licensed racetracks offer betting options in person and online. In addition, there are not any state or federal laws that prohibit Californians from participating in betting on horses online from legally licensed and regulated offshore racebooks and sportsbooks. Will I be breaking the law if I gamble online in California? The answer to this question depends on where you intend to participate in online gambling. For example, at this time, it is not legal to operate an online casino, poker room or sportsbook within the borders of California. If you are attempting to engage in online gambling at a state-based website other than the licensed horse racetrack websites, then you are likely breaking the law. However, if you are betting at an online gambling site that is licensed, regulated and located outside of the United States, then you are not violating any California state laws or US federal laws. Can I buy lottery tickets online in California? California lottery tickets are only sold at physical retail locations. Therefore, you are not able to buy tickets directly from the California Lottery website. However, there are legally licensed offshore lottery agents who facilitate online lottery ticket purchases for residents of the United States, including those living in California. These agents allow players to participate in lottery games from around the world, including those games conducted overseas. Do I have to pay taxes on my winnings when I gambling online in California? The state of California requires residents to report all income and revenue earned, including revenue acquired from gambling winnings. California is one state has is tax heavy in general, so we are not surprised that they do not cut gamblers any slack when it comes to income reporting. While you might be able to get away with not reporting your winnings from online gambling sites located offshore, it is still illegal not to report this revenue. If you feel that you may not be required to report gambling income for some reason, we recommend that you consult with an official tax attorney that is familiar with the specific laws in California. How likely is California to legalize online gambling in the future? California has been discussing online gambling possibilities for several years and has seen a myriad of legislation come and go. It has not been until recently that any real progress has been made with any of the bills that have been introduced. With heavy involvement in the gambling industry by influential Indian tribes, California faces some challenges that other states don’t have to deal with. At this moment in time, we cannot accurately predict when CA will adopt state-regulated online gambling. Who Is responsible for gambling regulation in California? The Bureau of Gambling Control operates under the State of California Department of Justice. Their mission is to ensure the integrity of the gambling industry in California. To do this, they are responsible for overseeing the industry’s activities to ensure that gambling entertainment is conducted honestly and free of criminal influence. They work cooperatively with the California Gambling Control Commission to regulate the gambling industry in California. When will California legalize sports gambling? The state is currently considered sports gambling legalization. For CA to allow sports betting would mean that the state constitution would require an amendment. At this moment in time, tribes hold a great power of influence over the proceeding of legal sports betting. Therefore, all bills presented must appease them if the bill in question is to continue through the legislative process.